When the rebel Prince of Fashion says "I do," one could only expect a fairy tale affair straight out of the pages of a storybook. Of course, in Marc Jacobs' case, the storybook is Vogue. 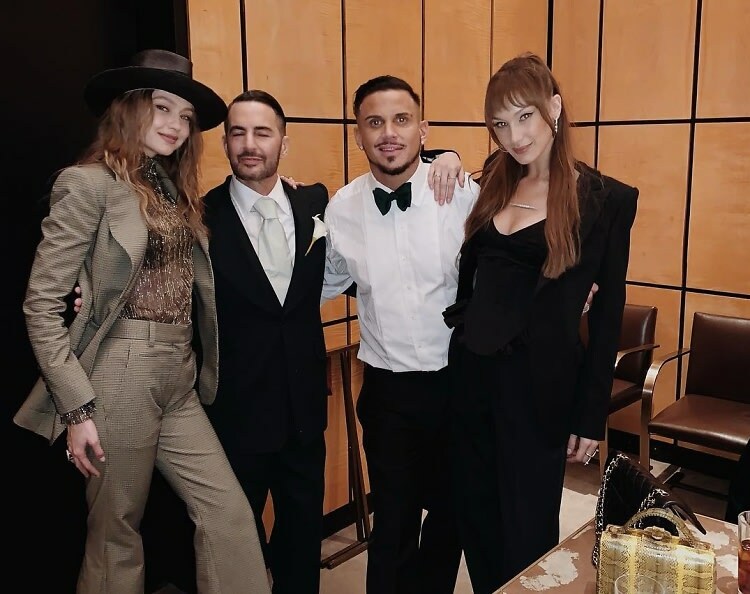 On Saturday, the iconic designer wed his longtime love, Charly "Char" Defrancesco, a model turned luxury candlemaker, in an intimate ceremony in New York City. Needless to say, it was followed by one very stylish celebration. Supermodels from Naomi and Kate to Gigi and Bella joined in the fun at the glamorous Grill restaurant inside the Seagram Building, as did a slew of celebrities including Christina Ricci, Justin Theroux, Chloë Sevigny, Rita Ora, Frank Ocean, and the Queen of Fashion herself, Anna Wintour. Guests were treated to a raucous night out, which included cabaret performances, a photo booth, and an epic five-tier cake. As for the happy couple? They rolled up in a 1962 Rolls Royce Phantom donning bespoke suits by Huntsman Savile Row. The grooms also wore matching onyx and diamond penguin pins - a gift from Prada and Miu Miu design director Fabio Zambernardi. "Penguins have only one partner and mate for life. A great example of faithfulness and fidelity," Jacobs explained on Insta. After a party this good, these newlyweds certainly deserve a lifetime of happiness.